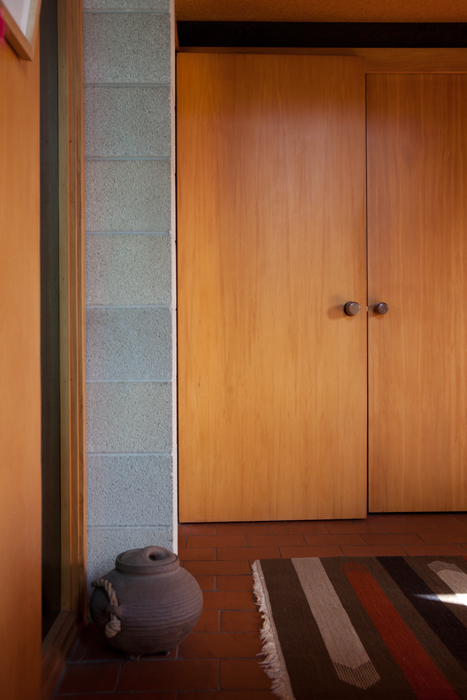 Beautiful native wood was used throughout New Zealand homes in the 1950s and 1960s. Here rimu was used for the doors and the darker matai for the handles. John Scott's Martin House, Bridge Paa, Hastings.